Dr. Jayabarathan is a Family Doctor practicing in Halifax, Nova Scotia. She is well recognized from television appearances in the Atlantic region of Canada. 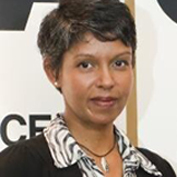 She is an Assistant Professor at Dalhousie University and co-chaired the organization of the 12th Canadian Conference on Collaborative Mental Health Care in Halifax 2011.